It’s such a surprise to find a restaurant that serves a New Zealand menu that you’re often unaware they exist until you see one. If the first one you ever come across is Nolita’s Musket Room, you may develop a fascination with the cuisine that lasts a lifetime. If all you know about New Zealand is that it’s full of sheep and great at rugby, you might be expecting a menu full of very ‘manly’ lamb dishes. Think again. The Musket Room is the culmination of a life’s work for owner and head chef Matt Lambert, who served his time at Saxon & Parole and Public before opening up a restaurant of his own. Lambert is a very modern chef, who uses the ingredients of his home in Auckland but also introduces flavors from his own training and experience to the menu. Fortunately for diners, Lambert’s experience and training covers French classics and a range of Asian influences, making for a lively culinary experience unlike anything else in the city. It’s difficult to pick a star dish from Lambert’s offerings, but if we were forced we’d probably go for the venison saddle which comes infused with the flavors of licorice, gin, lychee and fennel. Make sure you save room for dessert, or you might miss out on the passion fruit pavlova. “Long story” and “Short story” tasting menus are available for $160 and $90 per person respectively, and will give you a good feel for what’s on offer. 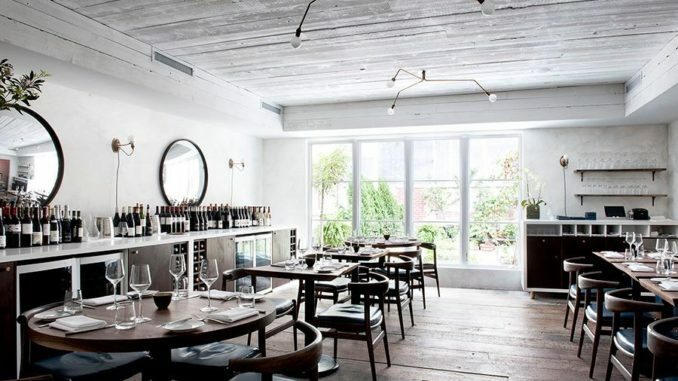 Meta Description: If you’ve never tried food from New Zealand, The Musket Room provides the perfect opportunity for anyone in New York. You’ll be blown away by the flavor!